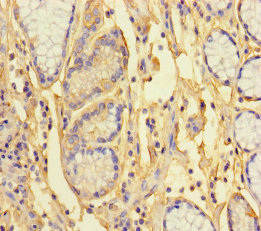 Antibodies that target proteins associated with chromatin and transcription such as histone deacetylases (HDACs), histone acetyltransferases (HATs), histone methyltransferases (HMTs), and heterochromatin protein 1 (HP1) are important to understanding the epigenetic regulation of chromatin structure and its function. Chromatin is involved in crucial functions of the cell including division, replication, and gene expression. Chromatin remodeling antibodies may assist researchers in investigating several families of chromatin remodelers in eukaryotes, including the SWI/SNF, ISWI, CHD, and INO80 family of chromatin remodelers. These chromatin remodeling families share a conserved ATPase domain for ATP-hydrolysis and DNA binding. 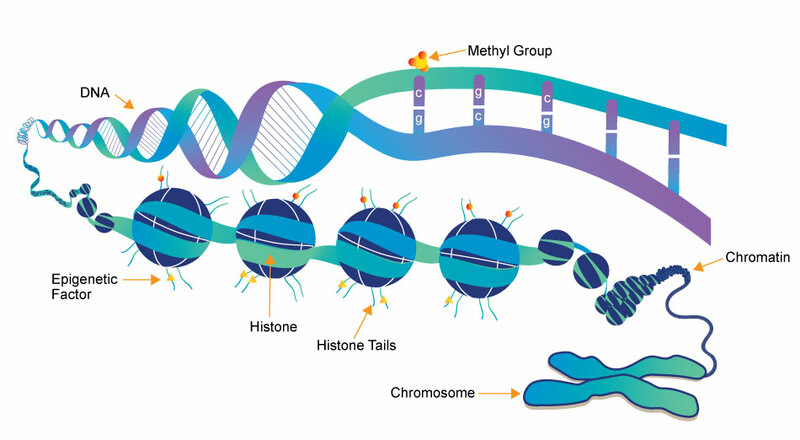 Other families have epigenetic reader domains which allow them to bind methylated histones or acetylated histones, for example. Many researchers study chromatin remodeling and protein-DNA interactions with ChIP. DNA replication & transcription antibodies are useful especially for studying the regulation of gene expression. Transcription factors are proteins that bind to DNA that can alter the expression of certain genes. Transcription factors might also catalyze histone acetylation or histone deacetylation. Certain stimuli during development can lead transcription factors to downregulate or upregulate gene expression at particular times, ensuring proper growth. They are also highly implicated in cancer research as they can act as oncogenes or tumor suppressors. Cell growth antibodies can be used by epigenetic researchers to investigate transcription factors which activate the expression of certain gene sets related to cell cycle progression and cellular growth. For example, the E2F family of transcription factors controls the progression of the cell cycle by inducing the transcription of genes needed to enter into the cell cycle’s S-phase. Development & differentiation antibodies offer insight into the process by which an organism develops from a single cell and forms into multiple types of cells, creating various organs and tissues. For example, the HOX genes are an important group of genes that control cellular differentiation during development. They are expressed later in the process of development by tissue stem cells in order to differentiate into their lineages. In addition, embryonic stem cells express transcription factors crucial for pluripotency, such as NANOG and OCT3/4 (POU5F1). Somatic cells can be reprogrammed to become induced pluripotent cells (iPS) by introducing transcription factors SOX2, KLF4, NANOG and OCT3/4. Chromatin remodeling refers to structural changes in chromatin that transform chromatin from a tight condensed conformation to a looser more permissive conformation. This allows access of transcription factors and other gene regulatory proteins to the DNA, leading to gene activation. Such changes are predominantly mediated by histone modifying enzymes, which catalyze the addition or removal of post-translational modifications to histones, and by several multiprotein chromatin remodeling complexes, which can alter nucleosome positioning. Besides its key role in regulating transcription and gene expression, chromatin remodeling is crucial for DNA replication and repair, as well as other cellular processes. DNA replication is the process by which DNA is duplicated or copied prior to cell division, and which allows the daughter cell to retain a set of its own genetic material. During this process, the two DNA strands are unwound by helicases forming replication forks, and DNA is copied by DNA polymerases to form daughter DNA strands. In eukaryotic cells, the nucleosomes at replication forks must be disassembled and then assembled back. DNA replication progresses by duplication of the DNA at several replication origins. DNA replication follows a semiconservative model, where each daughter cell retains an original parental DNA strand and a newly synthesized daughter strand. Cell growth can refer to an increase in cell number, by proliferation and cell division, or to an increase in the cells volume, without cell division. Growth of a cell population or cell doubling is dependent on cell division, and involves the completion of successive cell cycles. Cell growth in terms of volume, is when the cytoplasm and organelles of a cell increase in volume due to increased transcription and protein synthesis. This occurs during G1 and G2 phases of the cell cycle, in preparation of the cell prior to DNA duplication during S-phase, or prior to cell division into two daughter cells during the mitotic phase. Development and differentiation includes processes by which a multicellular organism starts out from a single cell, a zygote, and gives rise to multiple cell types, forming different tissues and organs. Development comprises cell division, tissue and organ formation, body axis determination and cellular differentiation.